Family trips and days out are a great way to bond with each other, discover new things and develop interests together. However, family outings and day trips can start to get expensive, but they needn’t cost a lot of money. In this article we’ll look at some cheap ideas for family days out. There’s plenty of family fun to be had outdoors for next to no money at all. Walks in the countryside and days at the beach are very cheap and kids usually love the chance to run about or explore independently if they’re a little bit older. If you’re short of ideas for where to go, you should find plenty in local guide books and online. Family outings such as trips to farms are also extremely cheap, educational and usually very popular with youngsters. 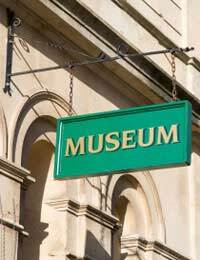 Day trips to museums and galleries are an excellent way to have a fun activity without spending much money. Trips to museums and galleries can be fun and educational for young children as well as older ones. In fact many venues cater for family day trips by having certain exhibitions or areas especially for children. Most UK galleries and museums are free to get into, although you may have to pay some money for special events. You could try to come up with some ideas for activities to do at the museum or gallery. For example, a picture to colour in, a wordsearch based on the venue or some questions to answer. Sometimes it is fun to have family day trips to places that do cost a bit more money, for example a theme park or the cinema. It’s possible to do these things quite cheaply too with a bit of forward planning. Newspapers often offer tokens to theme parks and water parks and these are well worth collecting for a cheap family day out. They will save you a significant amount of money compared to the full price. Make sure you carry on saving by packing food and drinks to avoid the extortionate on-site prices. Cinemas may offer discounted family tickets, cheaper tickets for children or off-peak viewings and 2 for 1 deals. Check out the Orange mobile 2 for 1 deal for example. Prepare for all weathers so that you don’t have to make emergency buys of umbrellas or raincoats while you’re out. Don’t forget sun cream, hats and cotton T-shirts in the summer as well. Pack some food and drinks for a cheap day all-round. You’ll especially save money with a packed lunch if you’re going somewhere like a theme park or cinema. Plan your route and what time you’ll set off. Aim to avoid the crowds. Book and pay ahead by phone or online if you can to avoid queues if you can. There’s nothing worse than getting stuck in a queue behind a school trip or three!